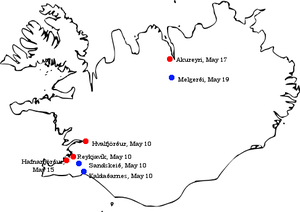 9: Germans land in several Norwegian ports and take Oslo; the Norwegian Campaign lasts two months. 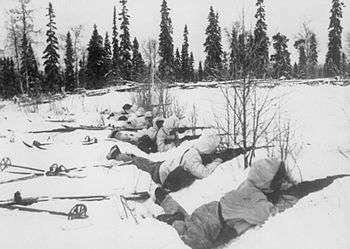 The British start their Norwegian Campaign. Denmark surrenders. The state of the allies and axis powers in May 1940. Rotterdam is carpet-bombed by the Luftwaffe, causing many civilian deaths and tremendous damage. The Netherlands decide to surrender with the exception of Zealand. 14: The Rotterdam Blitz successfully brings an end to the Battle of Rotterdam. 11: French government decamps to Tours. Start of the evacuation of British troops from ports western in France in Operation Ariel. The French sloop La Curieuse forced the Italian submarine Provano to surface and then sank it by ramming. 9: A fairly indecisive naval skirmish happens off the coast of Italy. No lives are lost. : Soviet Foreign Minister Molotov reaffirms Molotov-Ribbentrop pact in the Soviet Supreme while verbally attacking both Britain and the USA. He also asserts that the boundaries of Soviet Union are moved to the shores of the Baltic Sea. 19: Italian forces take Berbera, the capital of British Somaliland and the British defenders flee to Aden. The fall of Berbera completes the invasion of the British colony. By the end of the month, the Italians control British Somaliland and several towns and forts along the border with the Sudan and Kenya including Kassala, Gallabat, and Moyale. 20:Chinese Communists launch the Hundred Regiments Offensive against the Japanese in North China. : Adolf Hitler and Benito Mussolini dictated the so-called Second Vienna Award which forced Romania to hand over the Northern Transylvania (including the entire Maramureş and part of Crişana) to Hungary. 31: Two Royal Navy destroyers are sunk off the Dutch coast in the so-called "Texel Disaster"
7: In one of the major misjudgements of the war, the Luftwaffe shifts its focus to London, away from the RAF airfields. Success may be measured only in the estimated 2,000 civilian dead. Other British cities are hit. The Italian invasion of Egypt comes to a halt when approximately five Italian divisions set up defensively in a series of armed camps after advancing about 95 km to Sidi Barrani. The Italians never approach the main British positions at Mersa Matruh. : Japanese 5th Division march into Hanoi, North Vietnam. 1-31: The United States Of America separates the Corps Areas established in 1921 to perform the administrative tasks of the various regions of the US from the four Field Armies that had been established in 1932. 7: Germany invades Romania to block the Soviet Army and get access to valuable oil fields. 24: After meeting with Franco, Hitler was going to Montoire where he met with Philippe Pétain took place signifying the start of organised French collaboration with the Nazi regime. 5: The HMS Jervis Bay, a merchant cruiser, is sunk on convoy duty, but much of the convoy escapes. The loss becomes a media event. 8: The Battle of Elaia-Kalamas ends and the Italians end their futile offensive in Greece. The state of the allies and axis powers in December 1940, showing great axis expansion in Europe and Northern Africa. 1 2 3 4 "1940 Timeline". WW2DB. Retrieved 2011-02-09. ↑ Gotovitch, José; Aron, Paul, eds. (2008). Dictionnaire de la Seconde Guerre Mondiale en Belgique. Brussels: André Versaille éd. p. 408. ISBN 978-2-87495-001-8. ↑ Gotovitch, José; Aron, Paul, eds. (2008). Dictionnaire de la Seconde Guerre Mondiale en Belgique. Brussels: André Versaille éd. p. 372. ISBN 978-2-87495-001-8.